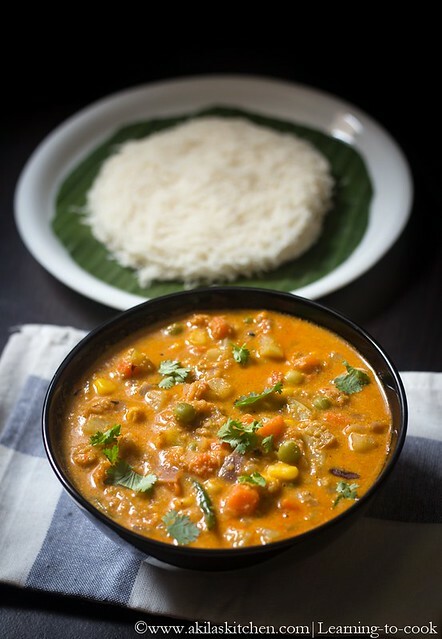 Idiyappam Kurma is a special side dish, which you can prepare for the Idiyappam. In most South Indian hotels, you can see, this kurma being served as accompaniment to the idiyappams along with the sweetened coconut milk. I always wanted to prepare this kurma at home, but my kids and my hubby always ask for coconut milk and I end up preparing coconut milk only. 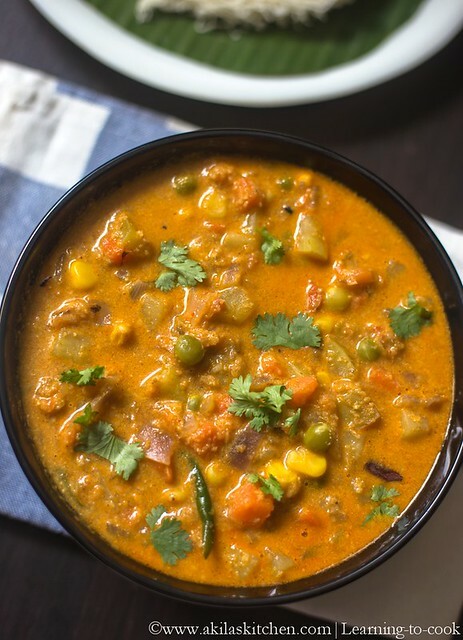 So last saturday, I prepared this finally with less spicy and my son loved the taste very much, and asked to prepare this Idiyappam kurma in coming days along with the coconut milk. You can also have this kuruma for Aappams as well. You can check some other breakfast items from the given links. 2. Now grind the ingredients mentioned in Ingredients II. 3. 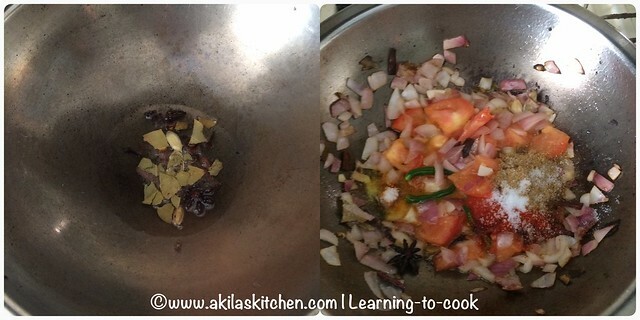 In a kadai, add oil and when it is hot, add the spices – cloves, cinnamon stick, bay leaf, cardamom, fennel and fry for 2 min. Add the onion and sauté till translucent. 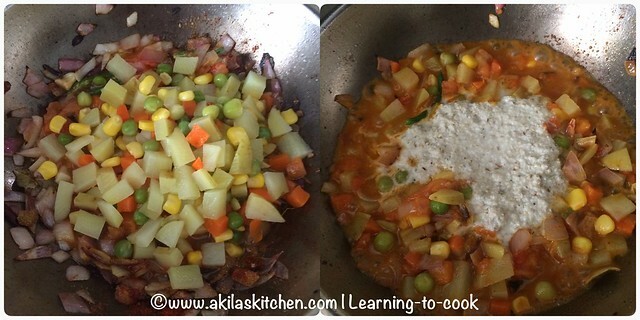 Add the ginger garlic paste, green chilli and tomato and sauté well again. 4. Add the chilli powder, coriander powder, turmeric powder and asafoetida. 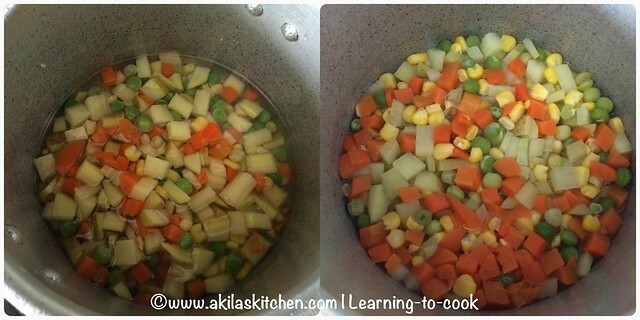 Add the cooked veggies and required water and cook for another 3 to 4 min. Add the coconut paste. 5. Again cook for another few min till the raw smell of coconut goes. Now add the curd finally and cook for another 5 min. 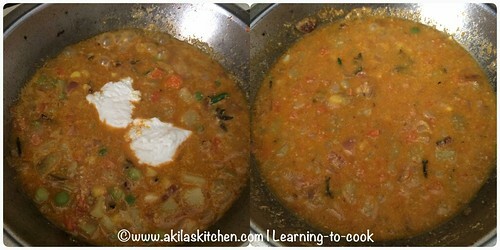 Garnish with coriander leaves and switch off the stove. 6. 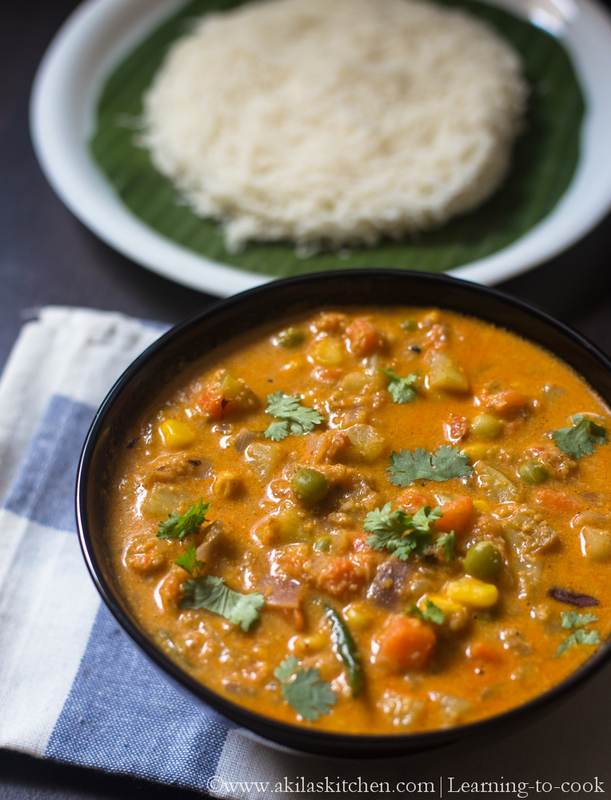 Serve the tasty Kuruma with the idiyappam or appams. Yummy Idiyappam Kurma is ready to be served. 1. If you do not like to add chilli powder to this kuruma, you can avoid it and increase the amount of green chillis. 2. 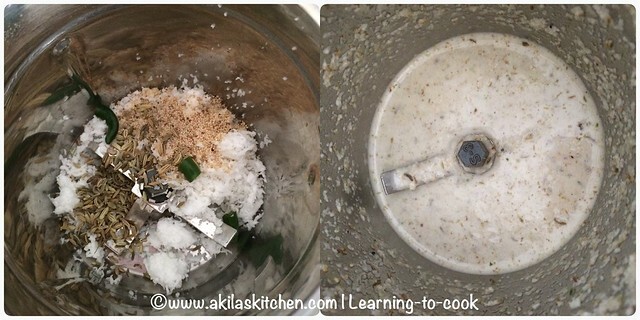 You can soak some cashews and grind along with coconut to give richer taste. I love such a dish – just so perfect for rice and tosai as well. Coconut milk I don't shun away for the nice creamy taste.